One of the problems faced by many Capetonians is Noise Between Floors. In fact, many of the older Cape homes have been built, many years ago. And therefore some of these homes have no form of insulation between floors. However when Soundproofing Between Floors this is not the only factor to take into account. To Sound Proof Between Floors, one must understand the type of noise that creates this type of problem. Firstly Airbourne noise the more comfortable option. Secondly, Impact Noise the more demanding kind of problem. So in this post, we will give as much information as possible. There are two methods for soundproofing, wooden floors. The first is from the top removing the floorboards a much quicker easier option. The second is the application IS below. In this post, we look at the choice from below. When one takes a look at the beautiful Cape architecture, we don’t think about noise. However many of these homes were built before the 1970s. Therefore some of these homes have wooden flooring. We all remember the wood floors at our grandparent’s houses and how noisy they were. In double, volume homes, the noise from above can be frustrating. However, in some cases, some of these majestic buildings have been subdivided. Ok for the homeowners above but a real-life nightmare for the people below. When the people above are talking even softly at times, this sound travels strait the floor space. In fact, in the evening when the homeowners above you are enjoying the Tv or music you have no option but to listen as well. The Sound from above as well as below will have no problem travelling through the wood floors. In fact, this is called airborne noise. As a result, this is not pleasant for either homeowner. Now the biggest problem of them all is impact noise. However, impact noise will mostly affect the people below. This kind of noise is people walking above. The sound is almost like a banging noise from above. If the upper apartment has a few people, then it can seem like they have a dance floor above. And this can also be resolved by the insulation however on its own will not be enough. In many cases, this has created bad feelings between neighbours. To resolve impact noise utilising installing insulation alone will not work. Often referred to as Ambient Sounds. These are sounds caused by the ringing of phones talking as well as well as radios and TVs. As a result, are transmitted through the air. Mainly through wood floors as well as open ceilings in double storey homes etc. Blocking all cavity spaces as well as installing Sound insulation. 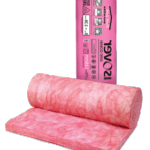 Sound absorbing insulation has proven to be the best method for these kinds of noise. These sounds are direct sounds. Especially with wooden floors and high heel shoes, making direct contact with the floorboards. Even general walking or running above will be transferred through the floor and ceiling above. Impact sounds are vibrations in the construction of the floor roof and ceiling. As these components are attached to each other one can only describe the noise as a doctors stethoscope. Therefore sound is transferred between objects. As a result, these applications are more difficult. More building work of sorts will be needed rather than the lifting of floors and installing insulation. Installing of sound or acoustic insulation will not get rid of this problem. As mentioned above the two major noise elements being Airbourne Noise and Impact noise. Firstly the ceiling must be removed. Once completed the process is as follows. Importantly this is not a simple fix. Fit the insulation correctly with no air gaps. When Soundproofing between floors, make sure that someone is on hand to be sure that there are no air gaps. Leaving a bunch of workers on own can prove to be expensive in the long run. In most cases, the floor trusses will be around 350 to 420mm apart. Cut the acoustic insulation at least 50mm wider the floor beams. As a result, the insulation will have to be pushed in tightly. 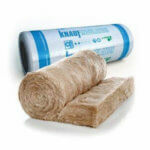 Installing products like the Knauf Ecose Insulation is perfect for these applications. In fact, the NRC 1.13 (noise reduction coefficient) is excellent. 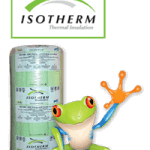 Installing two layers of the 135mm Ecose Insulation will be great. As a result, Reducing Airbourne sound in the substantially in the process. 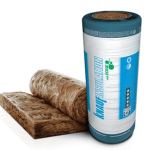 The next step to get the best out of the soundproofing between floors application is Significant. Firstly install the ceiling below the floor after two layers of acoustic insulation are installed. The ceiling must be 12mm Rhino board type. Seal all joints as well as any gaps against the wall an appropriate cavity sealer. This is to be sure that all air gaps are sealed. Once completed the next part of the application will start. Starting with a grid system fitted below the first ceiling. Importantly note that no part of the grid must make contact with the ceiling space above. IMPORTANT!! The ceiling grid should be at least 75mm below the first ceiling. The air gap is significantly essential however the most important is that not even wires can be attached to the ceiling and floor above. Some installers will fit drywall metal grid sections with cables for support in the centre. In fact, this will be a waste of all the work done above as the sound transference will remain a factor. A mistake of nature will still allow for Airbourne sound to be improved. However, the Impact sounds will always be a factor. Apologies for pushing this point. Having been in the industry for many years, we have seen this mistake happen many times. After fitting the grid system, the final Ceiling Board is, therefore, fitted. The recommendation would be the Rhino board type 12mm thick. Plater and finish off. The home will far more comfortable. One of the important factors in this application. When Soundproofing between floors one must take a few factors into account. Insulation must have a high fire rating. 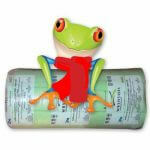 The reason we prefer the Ecose Insulation is the fire rating as well as the NRC. In fact, the Ecose has a fire rating AA 1/1 The insulation is not combustible. Equally, the Think Pink Aerolite has a high fire rating A / 1. 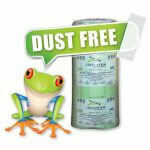 Unlike the Cellulose insulation products that have fire retardants that will dissipate with time. The other problem with Cellulose is water. 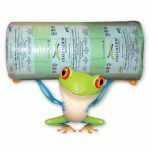 Rember Cellulose is a paper dust type insulation. Therefore if there is a significant water spill in the upstairs unit an inevitable collapse of the ceiling will occur. Also, Cellulose on wooden floors is not advisable.